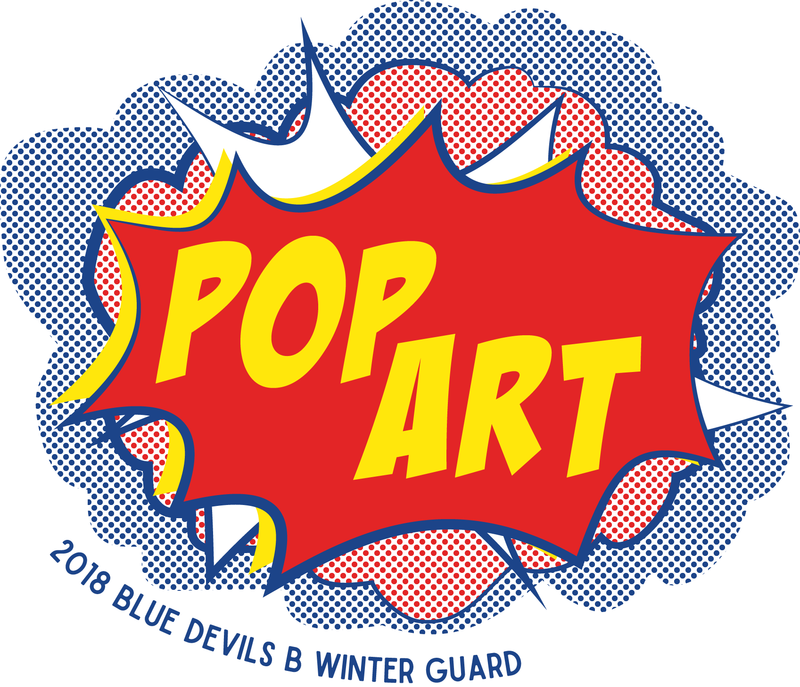 The 2018 Blue Devils B Winter Guard brings visual pop art to life. In the 1950s, artists such as Roy Lichtenstein and Andy Warhol challenged the traditions of the fine arts by using imagery from popular culture in their work. By showing a new perspective of advertising, comic books, and mundane cultural objects, the pop art movement celebrated everyday items as well as the mechanics of creating the piece through color and repetition. In the spirit of this movement, Blue Devils B Winter Guard will challenge the style of the winter guard activity visually, musically, and through the use of color. Performers will bring the style to life on the 2018 winter guard stage through the upbeat music of “Platinum Rows” (Tyondai Braxton) and “Pah-Paka” (Shugo Tokumaru).